As part of this year's Singapore Writers Festival we bring you a unique opportunity to retrace the steps of literary heroes from the books of Dawn Farnham, a very international lady who although now living in Australia, spent 12 happy years in Singapore, working as a Friends of the Museums volunteer docent, guiding in ACM and the Peranakan Museum. 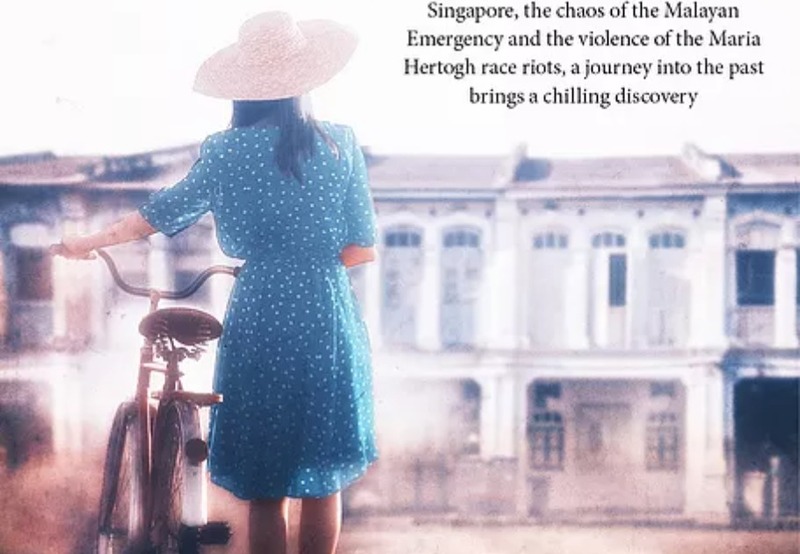 Finding Maria is a study of the brutality of war and Singapore’s post-war years brought to vivid life by the immaculate research Dawn is known for. This fictional story (previously published under the title A Crowd of Twisted Things) is based on the turbulent times of 1950s, when Singapore went through a series of racial and religious riots. Tensions had been simmering for months over the custody battle for wartime waif Maria Hertogh between her Malay-Muslim foster mother and her Dutch-Catholic biological parents & this case brought things to a violent and divisive end. Our tour will start the Harmony in Diversity Gallery describing the journey of Singapore’s unique identity. and where we will find out more about the Maria Hertogh case. We'll then hop on the MRT to explore the place where Maria was kept during the court hearings, before finishing our tour at the National Gallery (the former Supreme Court) where the final dramatic events took place. Again, the author will meet us there for a discussion and book signing. After a short break, you will have an opportunity to join a special reading by one of our leading Singaporean authors, Josephine Chia, of one of her stories inspired by Maria herself.